Hi. I read a lot about you guys north of the border buying rusted Beetles to do what ever. Have any of you thought of importing from here in Mexico. If any one is interested, then I will research the general shipping costs etc. I live in Guadalajara, Jalisco. On top of the cost to buy, export and import tax, there will be a % for me for finding, viewing, arranging the shipping and acting as the go-between. Also parts and common place here. I think the Auto has to be 25+ years old for import into the US. Hi. So 1991. There are some good ones on the streets at that age and older. Check the link. Say I have one. 0 pschneider 2030 Mexican Engines? 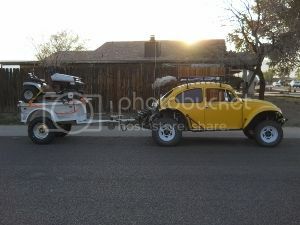 VW Volkswagen & Baja Bug General Discussion Mexican Bugs? 6 NAXZ 3017 Re: Mexican Bugs?